Steve Wright: Hi, and welcome to another episode of the Revolution Health Radio Show. I’m Steve Wright from SCDLifestyle.com, and we’re live from AHS 2012. With me is Chris Kresser. How are you doing, man? Chris Kresser: Good. How are you, Steve? We’re coming to you live actually from the Kraken Cave! We’re in Mat Lalonde’s office in the Chemistry Department here at Harvard University. It’s pretty exciting. This is where all the magic happens. Steve Wright: This is where the Kraken Nutrient Density Scale was born, right here on this desk. Chris Kresser: Right here, which we’ll come back to in a second. But we thought it would be fun just to record a little informal show here with some of our impressions from AHS if I can continue to talk for this show. As you can hear, my voice is a little scratchy. I just did my talk, and hopefully we’ll be able to finish this show. Steve Wright: Yeah, if you guys aren’t here, Chris rocked the mic for 40 minutes-plus and had questions for probably a couple hours after that, but we sneaked him out like the Secret Service so we could record this for you. And it’s been a great couple days so far, just being around a lot of people like us that want to share like minds and have great ideas. Chris Kresser: Yeah, Steve, why don’t you tell me what your highlights have been so far? Steve Wright: OK, well, before I do, I just want to say that because you’re listening to this show brought to you by ChrisKresser.com, if you go to the big red box, there’s an email series that Chris has put together called Beyond Paleo. Now, Beyond Paleo is gonna cover all different ideas that Chris has done a lot of research on over the years, and they’re gonna give you benefits, things like reducing your fat mass, giving you more energy, restoring your gut health, and just leading a generally more happy and healthier life. So if you’re listening to this show, you want to learn about things like that, I suggest you go to the big red box and put your name and email in there, and Chris will start spitting some knowledge your way. So, back to what I’ve loved so far, other than the atmosphere, I think just, man, Robb Wolf’s talk really blew me away on his vision scale, and then I also liked the Q&A that Robb and Mark Sisson did today to kind of get a little more informal with their lives, and they sort of brought a level of just kinda chill-ness, like, don’t take everything so serious. I thought that was good. Chris Kresser: I, unfortunately, missed that because I was preparing a little bit for my talk, and I went to bed really late last night, so I didn’t feel like getting up and coming for that. We were out at this really great sustainable farm dinner last night that was put on my Diana Rodgers. And it was an amazing experience. It was definitely one of my highlights at AHS. It was on her land. They have 20 acres. And the dinner was going to be outside, but as you know, there was a rainstorm last night, so they moved it inside the barn, which was really fun. And there were goats in there, haha! Chris Kresser: And we kind of just milled around at first, and we had some hors d’oeuvres and some organically grown wines from all over the world, some local and some from other countries. And all of the food was organically and sustainably grown, a lot of it local. And it was catered by this really amazing catering company that is not only thinking about the food and what the food is like, that it’s grown organically and sustainably. But everything else that they do, they recycle and compost, and they’re not generating a lot of trash, and they’re thinking about the sustainability of the event from the start to finish, not even just with the food. And there was a band with some really good music, and there was a raffle drawing. It was a lot of fun. I got a chance to talk to a lot of people and just kind of have a really fun time. So that was a highlight for me, but we didn’t get back till pretty late. Steve Wright: Yeah, Chris, isn’t just worn out because he was partying all night. No, it was for a good cause, right? Chris Kresser: Yeah, there was a raffle that generated some money, and then the tickets also, there was some charity. Some of that money went to charity. I’m not sure what it is. I can’t remember off the top of my head. Chris Kresser: But it was a great event. So as much as I would have liked to see Robb and Mark do a Q&A, it just wasn’t gonna happen. Steve Wright: Yeah, no big deal. I will say on the food front, AHS has given us some lunches, and today I saw the biggest bowl of guacamole I have ever seen. It was probably like a 5 liter bowl of it. Chris Kresser: Yeah, the food has been amazing actually. I mean, all the meals that they’ve served have been really good. And I actually appreciate that I haven’t been forced onto a low-carb diet, which sometimes happens at these things, you know, where it’s just like meat and salad and vegetables. Steve Wright: Well, speaking of low carb, is a reason why you’re so worn out is because you felt the need to blog last night before you went to bed? Chris Kresser: Haha, I didn’t do it last night. That’s one of the things I did this morning, actually, when I woke up. I mean, the thing about me that’s problematic with going to bed late is I wake up pretty much the same time regardless of when I go to bed. So if I go to bed at 2, I’m still waking up at 6, and that means I get only a few hours of sleep. But today I actually managed to sleep in till 7:30, which is a miracle for me. That’s one of the latest sleep-ins I’ve ever had in 20 years. Chris Kresser: Yeah, and then for most people, that’s still getting up early. But yeah, you’re, I think, getting to the starch debate. Steve Wright: I was hinting towards it, ha! Chris Kresser: So yesterday one of the panels I was on — I forget the exact name — but it was, Is starch safe? And it was moderated — I think that it was conceived of by Jimmy Moore, and he was the moderator. And then there were four people on the panel. There was myself and Paul Jaminet on the pro-safe starch side, and then it was Dr. Cate Shanahan and Dr. Ron Rosedale on the anti-starch side — Or should I say Dr. Rosedale feels like no amount of glucose is safe for anybody, and he actually said this exact quote, that we’re all diabetic. And Dr. Shanahan, I’m a little less clear actually on what her position is, but essentially what I got out of her argument was that glucose is toxic because it raises insulin, but most people can tolerate between 20 and 70 grams of carbohydrates a day. Is that what you got out of her position? Steve Wright: Yeah, it seemed like she had used that range of low-carbohydrate diet because everyone has a different definition of what is low carb and what is very low carb. But she was using a 20 to 70 gram range effectively, she said, in her clinic for her patients. And she hadn’t seen some of the problems that you and Paul had mentioned. Chris Kresser: So what did you think about that panel, Steve? Steve Wright: Well, as a non-expert in starch and just sitting in the audience, I was — I’ve been to a lot of conferences, and sometimes there’s a hesitancy from an expert to sit on a panel like that and sit in the fire and actually speak their minds. So as someone in the audience, I was very impressed not only about Chris’ ability to handle some sort of aggressive points of view, but I was happy that all of the experts said their piece and they didn’t all decide in the end that they were awesome friends and they were gonna ride off into never-never land! So I’m glad that the debate raged on. I think it might have gotten a little heated at some points. But hopefully everyone still respects each other. Chris Kresser: Yeah, I mean, it was civil. For anyone who wasn’t there, there were no chairs thrown Jerry Springer-style or anything like that! I think there was definitely a little bit of tension here and there. From my perspective, it was a little bit frustrating at times because we didn’t have a chance to respond to comments that were made. We just went down the line and each person got to say their piece, and then it went back to the start. And there wasn’t really much of a dialogue, which I think would have been helpful in terms of clarifying certain, in my mind, misinterpretations that were made, and perhaps the other side felt the same way. But it was a good exercise. Maybe some people that were on the fence changed their mind one way or another due to what the panelists presented. And if that’s the case, then that’s good. But since I already wrote a post about that, summarizing my argument, maybe we should talk about a few other highlights. Steve Wright: Well, let’s talk about our friend, Master J, because he dropped a pretty hot presentation on the fact that we might actually all have the ability to digest carbohydrates, and I thought that was some really cool info on that. Chris Kresser: Yeah, it was ironic, actually, the timing of that because Chris’ talk was right before the starch panel. And unbeknownst to me, his first four or five slides were basically — This is something I mentioned in the web article, is that when you look at primates, you see that nonhuman primates, like chimpanzees, have very few copies of the gene that codes for salivary amylase, which is an enzyme, amylase, in the saliva that helps to break down complex sugars and starch. And then you look at a graph of humans, and you see that we have many, many, many more copies of the gene that codes for salivary amylase. So that, of course, implies that we’re genetically adapted to digest starch and break it down and utilize it. And earlier in the conference, Professor Dan Lieberman, who is an anthropologist, I think, here at Harvard, he kicked off the symposium. And he discussed the role that starch plays in human evolution. It was a really important food for when we came out of the trees, so to speak, onto the grasslands. It gave us an alternative to fruit and insects and allowed us to thrive in environments that would have otherwise been pretty marginal for us. So Chris talked about that, and what’s interesting about that is that different populations have different levels of those salivary amylase genes. So that implies two things: Number one, since all humans have those genes, all humans should theoretically be able to tolerate some — or at least are genetically adapted to tolerate some starch, barring any metabolic abnormalities. And the second thing that it implies is that genetically speaking, some of us might be more able to digest starch than others, or we might do better than others. And I think that does explain some of the individual differences that people observe and cultural differences in their ability to break down starch. Steve Wright: Yeah, I thought that one of the coolest graphs of all the presentations I’ve seen was one of his where he showed the copies of the genetic amylases and he showed that in populations that had been eating a higher-starch diet over the long term, you could actually see genetic changes that they were selecting for more amylase receptors or genetic mutations — I’m probably saying the wrong word there — but I just thought that was a really cool display of kind of some genetics at work there. Chris Kresser: Yeah. Another really important part of Chris’ talk that I’m not sure came across as — Well, you know, Chris is an extremely smart guy, and he’s very talented at synthesizing information and communicating it clearly to an audience that might not have a scientific background. That said, some of the stuff he was talking about was pretty complex, and I think some people need to hear that more than once, understandably, for it to really sink in. But it was really relevant in terms of the starch debate. And unfortunately, I wanted to be able to bring that into the discussion, but we just didn’t have time to get into it on that kind of micro level. But essentially what Chris was saying — and this is what’s so important — is one of the arguments the anti-starch brigade uses against starch and glucose in general is that it raises insulin and that it causes the formation of advanced glycation endproducts, AGEs. And AGEs are associated with aging. Therefore, the argument goes glucose and starch reduce longevity. That, you know, makes sense on a mechanistic perspective when you say it that way, but there are a few problems with that argument. Number one — and that is what Chris pointed out — is that in vivo, meaning in the body, glucose contributes very little directly to advanced glycation endproduct formation. It’s actually dicarbonyls, like methylglyoxal, that play a much bigger role in the formation of AGEs than glucose does directly. And that may be different in people who have really chronically elevated levels of glucose, but in a normal physiological response, glucose directly does not play a big role in the formation of AGEs. And secondary, there are three steps involved in the formation of an advanced glycation endproduct. There is first the formation of a Schiff base, then the formation of an Amadori product, and then finally the formation of an advanced glycation endproduct. And the first two of those three steps are reversible, and it’s a concentration-dependent process, which means that if your blood sugar is over a certain threshold, the body will start that process of forming a Schiff base and then an Amadori product after that. But if the glucose level drops down again, then that process will reverse and an AGE will not be formed. And so the significance of this in terms of the glucose and starch argument is that Dr. Rosedale and other people say that glucose spikes and insulin spikes are so harmful because of this AGE formation, but the fact is if you eat some starch and your blood sugar goes up and your insulin goes up as a result for a short time, which is a completely normal physiological response — That’s the way our bodies are designed. The insulin is there to put the glucose into the cells where it belongs. That’s not a problem in terms of AGE formation, because as I said, the glucose levels would have to be elevated consistently for a long period of time for those AGEs to form irreversibly. So Chris didn’t talk about that as much as he talked about the fact that dicarbonyls like methylglyoxal are way more responsible for AGE formation. So his talk was quite technical, but what he was really saying was that, yes, starch is safe for most people, and by the way, glucose is not the main problem in terms of AGE formation and therefore is not probably a significant contributor to aging in most people. Steve Wright: Great summary. And I’ll probably need to listen to the summary again and the talk a few times because there were some many technical diagrams in that talk that, oh man, my head hurt. Well, let’s move on to the man’s office that we’re in, where he wasn’t talking so much about carbohydrate, he was talking more about nutrients and what is now being referred to as the Kraken Index of Nutrients. Chris Kresser: Yeah, the Kraken Score or the Kraken Index. I mean, as you would expect, Mat did another great job busting down some popular myths and shedding some light on the debate. I think different people had different interpretations of his talk and came away with different things, but my sense of what that talk was about was showing how ridiculous some of the nutrient indexes are and how much they are driven by agenda rather than evidence. And a really good example of that would be the ANDI score, which some of you might be familiar with, ANDI. This is like if any of you have ever been to Whole Foods and you walk in and you wander around the aisles there, you’ll see that different foods have been given this ANDI score. And it’s a scale of zero to 1000, and the food on the top of the list is kale at 1000, and then there are a bunch of other leafy green vegetables and other vegetables and fruits as you go down the list. And you don’t find an animal product until 37 on the ANDI score out of 1000, and that’s boneless, skinless chicken breast. So obviously when you see that nutrient density score and you know anything about the nutrient density of food and animal products and especially organ meats, there’s a red flag going up right there, right? You might wonder: What are the criteria they’re using to make this nutrient score? So Mat revealed what those criteria are, and they’re exotic markers like lycopene, antioxidants that have not really been proven necessarily to have a beneficial effect, and they’re not essential nutrients, meaning that the body can function without them. They’re not established in the scientific literature as being particularly crucial for health. It’s almost as if they backed into it. Then picked the nutrients that would make kale and all vegetables and fruits be highest on the list, and they completely ignored essential nutrients like some of the longer chain fatty acids and some of the fat-soluble vitamins and things that can only be found in animal foods so that they would be low on the list. So what Mat did is he created the Kraken Score. That wasn’t the term that he used, but that’s what people started calling it afterwards. And incidentally, I think Ned Kock, who is a statistician and really smart guy. His blog is Health Correlator, and he’s here; he was on one of the panels I was on. He reviewed Mat’s work, and he said that it was a PhD’s worth of work, and Mat did it in six days. Haha! In this office! In the Kraken Cave that we’re in right now! Steve Wright: An IV full of coffee. Chris Kresser: So it was a tremendous amount of work. I mean, you should have seen these spreadsheets he was presenting. And he had to correct for some things. For example, he was using the USDA database that’s publicly available, but different foods had different measurements, so he had to correct for that and create a standardized measurement system. And there was a lot of statistical work to be done there and just a lot of work in general, so it was really important contribution. So he ranked foods, which makes a lot more sense in my mind, according to nutrients that we actually know are essential. And “essential” means in this context, as I’ve spoken about before in the context of essential fatty acids, are things that we need to eat from the diet because the body cannot make them on its own. So these were amino acids and some of the fat-soluble vitamins and then minerals and then also, well, he did a provisional thing with fatty acids where he used the current accepted essential fatty acids, which are linoleic acid and alpha-linolenic acid, and then provisionally essential fatty acids that a lot of researchers and people, including me, believe that the longer chain omega-3 fats like EPA and DHA are essential, so he incorporated both. And then he recalculated the scores, and wouldn’t you know it, they changed quite a bit. And it doesn’t mean that kale and blueberries and some of the fruits and vegetables that were high on the ANDI score weren’t high in terms of nutrient density on this score. Many of them were very high. Kale is an incredibly nutrient-dense vegetable and really great from just about any perspective you look at it from. But animal foods, especially organ meats, ended up being much higher on the list. And in fact, as I have often said, liver and other organ meats were higher than many of the vegetables in terms of their nutrient density. One of the big favorites in the room was that of all pork products, bacon scored highest in terms of nutrient density. A lot of people got a kick out of that. Steve Wright: That vindicated my bacon habit, so I’m pretty happy about that. Chris Kresser: Yeah, I’ll point out — So I got here on Wednesday night, and Robb called me up and said: Come for breakfast tomorrow at The Kraken’s house. So I went over there in the morning. It was Robb, John Welbourn, The Kraken, and myself, and I walked in and on the table there was a plate of bacon — no joke — at least 6 inches high. Three different types of bacon. Crispy bacon, softer bacon, bacon from here, bacon from there. And then there was another plate of sausages, chorizo, bratwurst — I can’t remember, the other one was coiled up. I think, if any of you follow me on Twitter or Robb or Mat, there were some pictures up there. And then duck eggs that were just enormous. And some slow-cooked sweet potatoes that he had made before. And I don’t think I ate another meal until, like, 8:00 that night! I was so full when I left there! And those guys can put it away, let me tell you. Steve Wright: Yeah, John Welbourn is a big dude. Chris Kresser: I feel like a 5-year-old child standing next to that guy, and I’m not that small. Steve Wright: Let’s move on to another talk that just took place, probably fresh in your mind, the talk from Stephan Guyenet. I thought it was pretty informative as far as from your, you know, he obviously thanked you for helping him with the talk. And I thought it was really cool just to show the different relationships between obesity and the gut flora. And I also thought there were some great little nuggets in there about antibiotic use for kids and what that does to raise risk for inflammatory bowel disease and possibly obesity. Chris Kresser: Yeah, I mean, I always love Stephan’s talks too, and his work, in general, as I’m sure you know. So Stephan split his presentation into two parts, and in the first part he talked about the relationship between poor digestive function, particularly intestinal permeability and dysregulated gut flora, and metabolic syndrome. And the second half, I think, was even more interesting from a certain perspective just because we’ve heard a lot about — or at least some people have heard a lot about — the relationship between the gut and metabolic health. But the second part was what Stephan and I talked a lot about before, as we were coming up to AHS, which was that there’s a lot of interesting research showing how much psychological or psychosocial stress can impair gut function and how much of a contributor that might be to metabolic health. And he presented some really interesting research showing that psychosocial stress can cause gut permeability, which I’ve written about before when we talked about the gut-brain axis. And then he presented some data suggesting that particularly workplace stress is associated with a higher incidence of a metabolic syndrome. I think he did a great job, and that was definitely a highlight of the conference for me. Steve Wright: Yeah, I think that’s gonna be really a good one to review in the future. Like you said, he presented a lot of research that hadn’t been synthesized before. 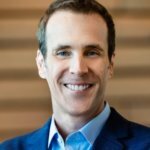 Well, let’s talk about Robb’s talk, because he sort of shook the conference with his visionary thinking and talking about some studies that are underway right now with the paleo diet. Chris Kresser: Yeah, if you’ve never had a chance to see Robb speak, I hope you get to sometime. He’s a fantastic speaker. He really holds the room, and he’s inspirational, and you just get a sense of electricity in the room when he’s talking. You know, he’s been there, done that with talking about the specifics of the paleo diet. He wrote a book on it. He has a podcast. I think he’s quite understandably tired of giving a presentation about the paleo diet or carbs or whatever. So lately Robb has been talking a lot more about policy and how to move this movement out onto a much broader scale and how to affect a wider range of people. And specifically, we are in a really, really dire situation with our health care system right now, and I know that’s not news to people, but in the next 20 years, our country is already in a hideous amount of debt, and by — What was the year on the slide? Do you remember? Steve Wright: I think it was 2030. Chris Kresser: 2030. The projection at current rates of growth in health care expenses is that health care alone will account for 300% of GDP. That is a very sobering number, and it essentially means that health care is going to bankrupt our country three times over. And something has to be done about it, and what we’ve been doing so far is clearly not working because it just keeps going up. And of that how many billions and billions and trillions, actually, of dollars that will be spent on health care, a significant portion of that is diabetes and diabetes-related complications. I don’t remember the exact number. It might have been at high at 75%. Do you remember? Steve Wright: Wow. No, I don’t remember. Chris Kresser: Yeah, essentially diabetes and diabetes-related complications, which of course include cardiovascular disease and several other things that kill us in large numbers every year, accounts for 75% or more of health care expense. And diabetes is a completely preventable disease. It’s highly, highly mediated by lifestyle factors. It’s a lifestyle disease. You’re not born with diabetes. You’re born with a susceptibility — And we’re talking about type 2 diabetes here, not type 1 diabetes, which does have a strong genetic predisposition, but even then, you’re not born with automatically having that without a doubt without the influence of any environmental triggers. So Robb, he basically feels like waiting around for public policymakers to figure this out is just not gonna happen, and I would have to agree with him there. And he’s thinking about other models that might be really effective, like public-private partnerships and even just exclusively private efforts, and he shared the results of one of those in Nevada. I think one group was the UNLV Police Department? Is that right? Steve Wright: Police or fire, one of the two. Chris Kresser: Police or fire department. And then he hooked up with another group, the police department in Reno, and just by testing some basic biomarkers that we’re all familiar with, fasting glucose, cholesterol, hemoglobin A1c, and then intervening with a lowish-carb — First of all, I think the first thing was just a low-carb diet, and then they moved to a more paleo type of diet. Chris Kresser: And the changes that they saw were just absolutely remarkable. And the return on investment was remarkable. It was like a 20:1 return on investment or something like that? Steve Wright: Yeah. If I was a VC, I’d be cashing in on that. Chris Kresser: Haha, yeah. And the time in which it happened, and you could see the biomarkers just going down dramatically. And there are no drugs that are known that can lead to that kind of change that quickly and that sustainably. So it’s really exciting. I hope we can bring more of that kind of stuff in, and it’s great to see Robb putting it out there. Steve Wright: Yeah, I was particularly inspired, and I thought it was really ingenious to just boil it down to something that I think every American can really think about hard every night when they go to bed, which is dollars and cents. And he’s boiling this down to, look, it’s gotten so bad that it’s now a dollars-and-cents problem. If we want our country to stay the way it is, if we want to have something for our kids, then we have to make a change. Chris Kresser: Absolutely. It’s a really dire circumstance. A lot of other things are getting cheaper with technological innovation, but health care just keeps getting more expensive. In fact, that was one of his main points. Steve Wright: Yeah, if we could show you this really cool graph. He had some great graphs about Moore’s Law and some awful classes that I took in college about transistors and how they double over time. Chris Kresser: That’s right, Mister Electrical Engineer! Steve Wright: Yeah, that was kind of burned into my retinas a long time ago. But yeah, I think the summary was let’s make Moore’s Law happen in the health care world. Well, I know we’re both kinda running on fumes here. Let’s wrap this up by having you give us, like, a 2-minute overview. What should we take away from your iron presentation? Chris Kresser: Yeah, so my iron presentation was about the effects of iron overload primarily on metabolic health. And the takeaway is that a lot of people know that hemochromatosis, which is a genetic condition that causes excess iron storage, is harmful. But what a lot of people don’t know is that even mild iron overload and, in fact, high normal levels of iron can cause metabolic, cardiovascular, and endocrine problems. So I presented a lot of research suggesting that both epidemiological studies showing correlations between iron overload and mild iron overload with a number of different diseases. And then I showed some studies that indicate that restoring iron levels to normal can reverse those conditions, which is another piece of evidence that makes it more likely that there’s actually a causal relationship between iron overload and disease. And then I talked about how to test for iron overload and how to treat it. And fortunately the Ancestral Health Foundation is going to make all of these presentations available, so if you’d like to and you’re interested in this topic, at some point you’ll be able to watch my presentation. I just want to say also before we finish up that, on a personal note, the best part about these conferences — and this is true for PaleoFX earlier, and it’s definitely true for this one — is getting a chance to meet people in person that I’ve had a lot of contact with over the Internet and the phone up until now, like you two guys, for example, Steve and Jordan, my faithful podcast producers who do just an incredible amount of work to make this show possible. It was really a great opportunity to meet you both in person, been a real pleasure. And believe it or not, I hadn’t met Stephan Guyenet or Mat Lalonde in person or Chris Masterjohn. I’ve talked to them all, at least Stephan and Mat on the phone several times. I trade emails with them sometimes several times a week. And I still hadn’t even had a chance to meet them in person. And what’s amazing about it is it feels like we’re old friends, with Stephan especially because we had a lot of contact on the phone. We just picked up kind of like it felt like we were old friends and hadn’t seen each other for a while. Then I’ve gotten a chance to meet several patients that I treat long-distance that I hadn’t met in person and get to know them a little bit better. And then just meeting lots of readers and listeners of the podcast and blog has been great. It makes it that much more gratifying and rewarding for me. I’ve really only seen about 30% of the presentations since I’ve been here because I’ve been so busy socializing and talking to people, and that’s been the best part about it for me. Steve Wright: Yeah, when you get the smartest guys in the room and you get a bunch of like-minded people, like you said, it’s one thing to be friends on the Internet, but when you bring the human element into it and get to interact with people that you really admire, you like, and you call friend, it’s really cool to shake their hand and hang out. Steve Wright: So I definitely like these conferences. I’ll be going to them in the future, for sure. Chris Kresser: Yeah, if any of you are thinking about doing it next year, make sure to sign up in advance. There are a lot of people, actually, that I met at the party last night, because the party wasn’t just people from AHS. There were other people from the surrounding community that are interested in this stuff, and a lot of them really wanted to come to AHS, but by the time they got around to checking for tickets there weren’t any left. I don’t know where it’s gonna be next year. Have you heard anything about that? Steve Wright: I haven’t heard any rumors yet. Chris Kresser: Yeah, so, but when the tickets do go on sale, it’s an amazing experience. It’s really inspiring to be around such a committed, passionate group of people who share a lot of values, and I had a great time. I really look forward to it. And I really miss Sylvie. I did a face time with her this morning, and it was so hard. I haven’t been away from her for this long, and Elanne, my wife, said that she kind of took her first step yesterday, which I really sad to miss. But apparently it was a preliminary step because she’s not walking yet. Steve Wright: She’s gonna wait for Daddy. We gotta get you home. Chris Kresser: Yeah, I said, like: Put her down! Wait! So I look forward to getting home. I miss her, but it’s been a fantastic experience, and I’m really glad to be here. Steve Wright: Yeah, it’s been a wonderful time, and I appreciate meeting everybody that I talked to. I know there were a lot of listeners that also said hello to me, so definitely appreciate you guys listening to the podcast, talking with us, submitting your ideas and everything, because that’s what helps make this show tick. Chris Kresser: One last thing I want to say is a huge thank you to the organizers. I’ve never been to a conference that was just so smooth before. It just went off without a hitch. And I don’t know everyone that was involved by name. I know Aaron and Beth and Carlos and several other people, Kathleen, who just worked their butts off for a long time to make this happen. And I’ve been so impressed with the way they pulled it off. It’s just been really seamless, and when you don’t notice anything, that’s when it’s just really excellent planning. Steve Wright: Yeah, and there’s a lot of people here. Chris Kresser: Yeah, I don’t know, you know, there were 400 or 500 people in the room during the talks, so it’s pretty remarkable. Steve Wright: Yeah. Huge thanks to them, and I know they have a lot of volunteers that will go unnamed that do a lot of work in the background to make sure that the food was ready, that the nametags were out, that the presenters get to where they need to go. Chris Kresser: Yes. Huge thank you for all of the support that you all offered me since I’ve been here. I really appreciate it. Steve Wright: Awesome. Well, this is coming to you, again, live from the Kraken Cave here at Harvard. I actually feel a little smarter just sitting in the room here. Chris Kresser: Haha! We’re staring at Mat’s standing desk here with his laptop up on the wall and his pictures hanging, lots of books on the bookshelf, and yeah, you can feel the intelligence pouring out of here. Steve Wright: Yeah. Well, we want to thank you for listening today. 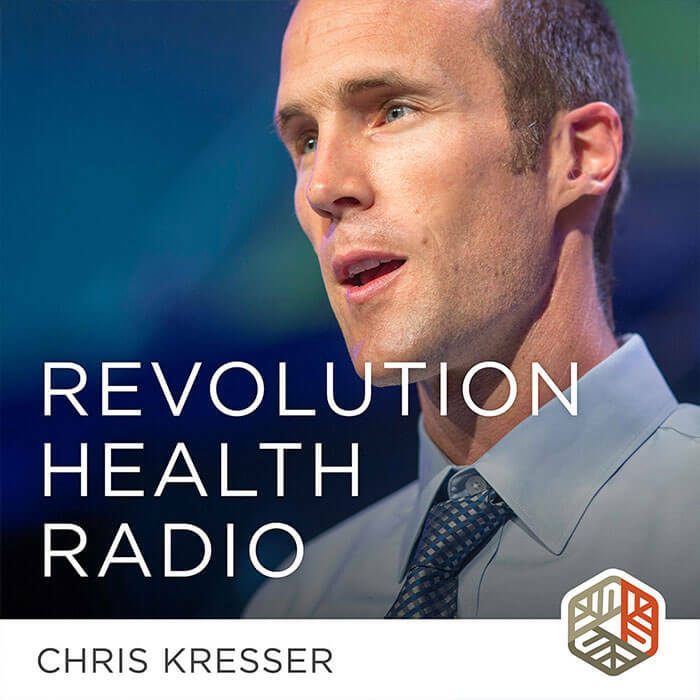 It’s been another great episode of the Revolution Health Radio Show. If you liked what you heard, please head over to iTunes and leave us a review. That’s really key for us to get more traffic to spread this radio show to other people that could really use this help and, again, help lower the money we’re spending on health care, so let’s tie it all together and spread this show. And keep sending us your questions to ChrisKresser.com, and we’ll talk to you then. I have just had an integrative doctor tell me that complex proteins are known to trigger autoimmune responses in those of us that have autoimmune disorders (i.e. Hashimoto’s). So therefore, by reducing meat consumption and essentially becoming a vegetarian or near-vegetarian, autoimmune folks would decrease their response levels. Obviously the whole food, paleo-inspired diets largely emphasize the bigger proteins while drastically reducing or even eliminating the less complex proteins like legumes and nuts. I am so curious as to how to interpret this. My understanding that this theory is largely held by conventional physicians for the last decade or less, based on some findings about meat’s acid-forming tendencies in some people. Thanks in advance for sharing your opinion on this! Does anyone know if the Mat Lalonde nutrient density index is posted anywhere online? totally unrelated to the content of this podcast but thought I’d mention it… for someone who relies so much on their speaking voice, it must be frustrating and a bit terrifying to feel like you’re losing your voice. I recently did a speaker’s seminar in San Fran and the most awesome vocal coach was there, Roger Love. If you’re looking to sort out the issue once and for all, he’s your man! Fishing for a little information from anyone who follows this blog (Seems like Chris is a really busy guy). I’m curious how people feel about eating canned whey as a food supplement and if someone can recommend a brand. I’ve also not heard Chris comment on eggs and if they can be a healthy part of someone’s diet. Thank you to anyone who can help me with a little bit of information. I would think eggs are very good for you. More so if you can find pastured. The only dampener is that it happens to be a common allergen. So if you don’t have an allergy to it, go for it. I have heard that 100% natural whey from Optimum Nutrition is very good. It has no artificial ingredients. I would think this is the best option if you cannot get enough protein from eggs and meat. I just love reading things at your blog. It is probably the best site on health. You have such good articles on thyroid. I still have much left on your blog to read though. I did find it funny that you and others are talking about the expenses on health in 2030. I guess it would come as a surprise to you that USD is going to get into hyperinflation within the next few years. The reason is the deficit of 1 Trillion dollars and growing. Till 2001 Europe was absorbing the deficit. Since then China had been absorbing it. Since September 2011 China has stopped. Since then a large part of the deficit has not been going anywhere. Remember what happened in 2009. Lots of money was created which nobody could absorb and a lot of base money was created. Look at the base money chart. Now to fund this deficit more base money will need to be created. This time it will not go into banks, as in 2008, and will flood the market causing inflation. The USG is not going to curb the deficit, as it is impossible to curb now. The deficit will force the inflation into hyperinflation in just a few short years. I don’t expect more than 3 years. You know how Germany was during Weinmar hyperinflation. Surely the USG deficit is just the flipside of the banks’ balance sheets? Any money creation must at least flow through the banks, or they won’t be in existence in order to help monetize USG deficits. I know that China just opened a direct account at the Fed, but the banks still have huge liabilities that need funding. I think this is probably a discussion to continue over at FOFOA though don’t you think ;)? Still gonna get hyperinflation, mind you. Didn’t think I would get an FOFOA fan here. I was just popularizing the idea ;-). I was surprised to see you too, so I thought I might chime in. I don’t post at FOFOA, but I do enjoy your posts. I only got interested in Economics 10months back. Have been following Paleo for the last 3 years. Thanks for giving us the opportunity to stay up to date to all those most interesant talks and conferences. I have learned a lot about nutrition and specially about this terrible modern plague that diabetes is. I have been told that breast feeding reduces both child and mother chances of developing it. What do you think about this? Should our governments emphasize at least on his healthy habit? Maybe if all babies were breastfeed we could drop down both diabetes? Great content as always, Chris. I’d like to echo the sentiments of Lynne, in thanking you for all the work that you do. As regards the scratchy voice after the rigours of public speaking (and partying! ), have you ever come across the Alexander Technique? The Technique was developed in the 1890s by F.M. Alexander, an Australian actor, in response to recurrent (and career-threatening) loss of voice whilst performing. He spent ten years experimenting and developing the essentials of his technique, and in the process discovered certain fundamental facts about human functioning and well-being, as well as recovering his voice. He devoted the rest of his life to teaching his technique to others. If you will forgive me the appeal to authority argument, the scientific validity of his work has been attested by philosopher John Dewey, and two Nobel Prize-winning scientists, Sir Charles Sherrington and Nikolaas Tinbergen, have publicly acknowledged support for Alexander’s work in print. (Tinbergen devoted half of his Nobel Lecture to praising the Alexander Technique and the benefits he and his family derived from it: http://www.nobelprize.org/nobel_prizes/medicine/laureates/1973/tinbergen-lecture.pdf .) A good introductory book is Frank Pierce Jones’s ‘Freedom to Change’. You can find an Alexander teacher through the American Society for the Alexander Technique (http://www.amsatonline.org/). Keep us buzzing, it feels healthy! Thank you both for all the work you put into researching, analysing, defining, objective criticsm and everything else, then getting the word out to us globally. We little people, who are just trying to take responsibility for our own health, who will never get the chance to go to a conference at Harvard, thank you for your indepth evolving message, your inspiration and your story and the fact that you are too, just normal folk just trying to learn and do the best for yourselves and family – but me too, I’m in this equation because I can access these radio interviews here in the UK. I make notes, so that I can refer to again. I don’t like to brag but I think I know more than my GP. Knowledge is power, we have freedom of choice – thanks to you (that is no mean commendation-it comes from the heart) Your work lifts the burden of oppression from so many. Hi I’m 23 and have heamochromotosis and leaky gut associated with a range of intolerances and hormonal issues.. I eat what I would have considered a healthy diet having majored in nutrition but I’m starting to think I’ve got it all wrong.. Where is the the best place to get information on primal/paleo that also considers my iron overload disorder as obviously items like organ meats are way out of the question ! Was there anyone at the conference who was talking about Ray Peat’s work?